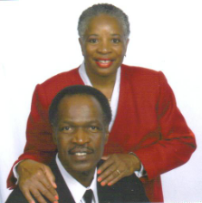 Pastor Willie Sparks is the founder and Senior Pastor of Harvest Christian Fellowship Church. He is married to Lois and they have over 40 years of marriage and are blessed to have five children and five grandchildren. Willie graduated high school in 1972 and entered the U.S. Army in 1973 and achieved the rank of Master Sergeant as he served his country for 21 years. He accepted the Lord as his personal savior in 1976 while stationed in South Korea. The Harvest Christian Church was started in 1997 and has birth several outreach ministries: Samaritan Ministries, a mid-week ministry serving grades one through twelve, where children/youth are taught God’s truth and how to apply them to their daily life situations, It’s Now Time Inner City Ministry, a ministry that responds spiritually, as well practically to the needs of those who are hurting outside of the walls of the local church and Hot Lunch Program, a home cooked meal provided to the community members where the love of Christ is demonstrated with no strings attached. Willie obtained a bachelor degree in 2002 in Religious Studies from Martin University in Indianapolis. His mantra is ‘encourager in the Body of Christ’!